I will take a look at it and get back to you. Have you ever realized how often we use the expression To take a look at something? The verb Dar is irregular. Actually, it is very irregular and even Brazilians have trouble conjugating it, which is a shame because we use the verb Dar in so very many expressions. But you don’t need to keep making mistakes with the verb Dar. I have a simple-to-use app for Android devices that will help you practice the present and past tenses of verbs DAR and FAZER (also used in a whole lot of expressions). Get the app here. Diana: O relatório está pronto para a sua revisão. Tânia: Ótimo. Vou dar uma olhada e te dou retorno. Diana: The report is ready for your review. Tânia: Great. I will take a look at it and get back to you. Antônio: Já decidiu que carro você vai comprar? Milena: Ainda não. Ontem dei uma olhada em preços, mas ainda não decidi nada. Antônio: Have you decided what car you’re going to buy? Milena: Not yet. Yesterday I took a look at prices, but haven’t decided anything yet. Cris: Dá uma olhada nesse artigo sobre nutrição. Acho que você vai gostar. = Take a look at this article about nutrition. I think you’ll like it. You might be wondering about “nesse” in the example above. It is the contraction of “em” and “esse”, and it means “at this”. The contraction is not optional. It is a good idea to review your contractions if they still cause you trouble. 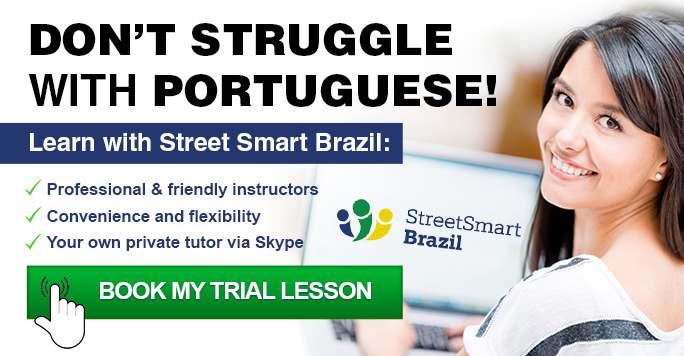 You can practice with a Street Smart Brazil instructor. We offer Brazilian Portuguese lessons via Skype. 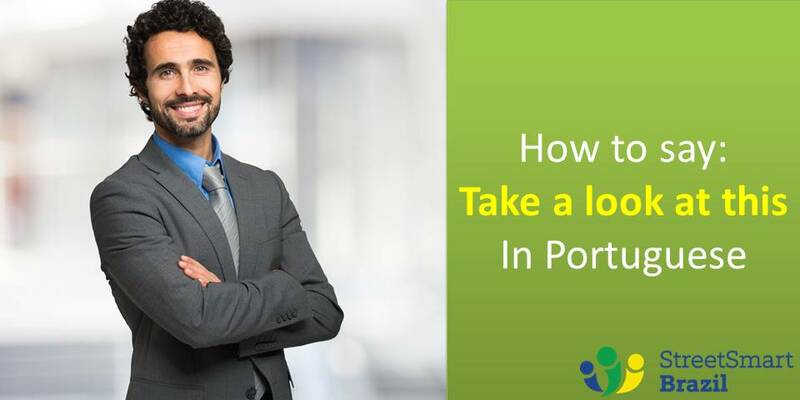 Imagine how wonderful it will be when you can speak Portuguese with confidence! Book a Trial Lesson to get started.